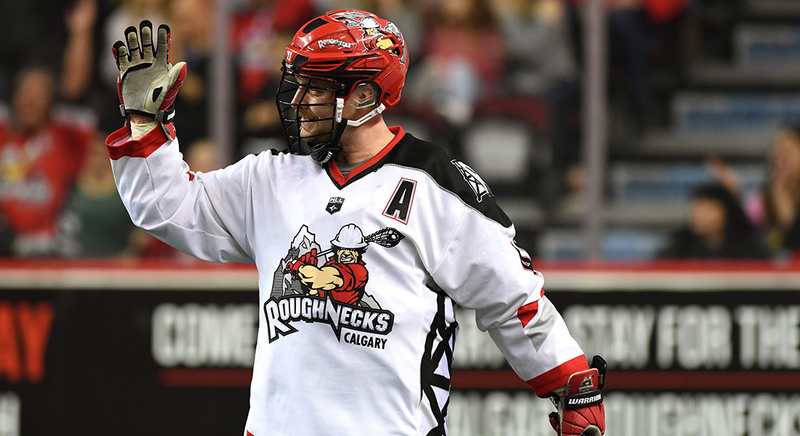 With four goals and a trio of assists against the Colorado Mammoth Saturday night, Dane Dobbie played his way into the NLL record books, becoming just the 22nd player to reach 700 career regular-season points. But for all the offensive prowess the veteran forward showed in his team’s 13-9 win, it was the moment when Dobbie chose not to shoot that caught the attention of his head coach and former teammate. Malawsky was referring to a moment in the dying minutes of the fourth quarter, when Dobbie elected to maintain possession and run out the shot clock to help his team protect their lead. That growth, according to Dobbie, has come by committee. A lot of points, indeed. 350 goals — 13 of them game-winners — 351 assists, 228 powerplay points and 34 shorthanded points in 151 games over 11 seasons. For Dobbie, that’s the most important milestone of all. The fourth-overall pick of the 2007 entry draft has seen just about everything in his time as a Rigger. He corrects himself after using the word “arrogant” to describe his attitude when he first arrived in the league, but knows that his lengthy tenure has given him perspective that wasn’t always there. “You take it for granted a little bit,” said the 31-year-old Dobbie, reflecting on his early years in the pros. “Once you start getting some injuries and getting a bit older — you can’t take this game for granted. It could be gone tomorrow. That’s one thing that I’ve learned from the older guys: you could be gone tomorrow or you could have an injury that you can’t play anymore. Every game I play, I’m just thankful to be out there, thankful to be doing the thing I love to do. What then, exactly, does 701 career points mean to a man who simply loves to play? “It means I’m old,” he joked.